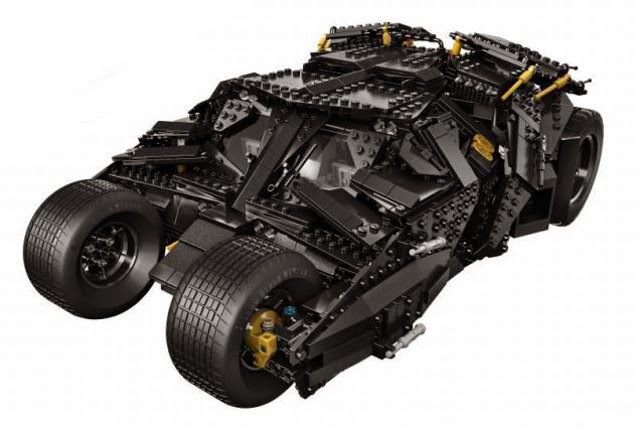 Proving the Nolan films may have ended but licensing is eternal, the batmobile of the trilogy; The Tumbler, is headed to a LEGO store near you. Note that's Tumbler, not Tumblr. One is a wicked cool ride that makes even Superman do a little pee at the sound of its engines, the other is an online photo reel spelt with the trend that's caused the downfall of spelling in modern society - but who am I to point? Due in September with a nice round price tag of two hundy, probably just to justify the "Collector's Edition" tag, the 15" long bruiser will look great on any mantle (just move Nan's ashes to the spare room or conservatory if need be), and also provide a great distraction as you wait for Batman V Superman: Dawn of Justice, moved forward today to the closer release date of March 25, 2016. My soul mate wouldn't ask to touch it. He would understand my boundaries. And my capacity with sharp knives. lol that is true Random, that is true.